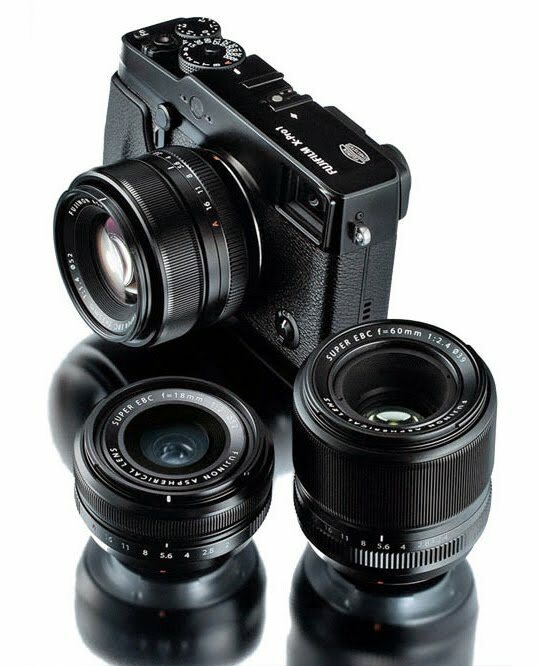 I'm not really a gear guy but I'm quite intrigued by prototype photos of the Fuji X-Pro1. You don't have to know anything about photography to recognize this tool is a serious instrument. The design is gorgeous. I want one just to put on the window sill and stare at. Some people would say big whoop. It's not the look of the camera that matters after all. It's the feature set. And to a certain extent they're right. On the other hand, I think design does matter. One of the legacies of Steve Jobs is that every part of a tool is integral, from design to function to durability to tactility. Today you can see that in all Apple products. They're beautifully designed, and that aesthetic appeal promises that their insides are just as efficient. The other end of the spectrum is something like the U.S. auto industry in the 1980s. 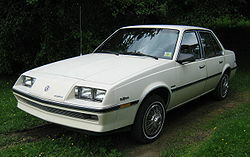 You don't have to drive a Buick Slyhawk to know the entire industry was in crisis. One glance says it all. I'm not claiming cameras are like cars. Most current models work just fine regardless of aesthetics. But some designs leave me scratching my head. What were they thinking? 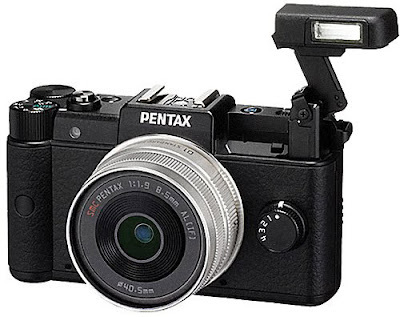 I'm guessing the Pentax Q was designed by committee. Is that a control wheel on the side or a set of mini grain silos? And who designed the telescoping flash, Dr. Suess? Props for using Leica font on the front dial, but I wonder. Does any camera really need a control that goes backwards from 1 to 4? WTF is that for? And this is the nice version. In beige the camera's textured facade resembles the leading edge of an attack mop. A screen in the rear is one thing but on the front too? Have we reached the point where every surface in the world needs an LCD? I don't know if TV reception is possible on this but if not I'm sure that's coming soon. I guess the idea is to show subjects what they look like as you're taking the photo, but it just seems like a distraction. Look here please. No, over here. Don't look at that. So why'd you put in on there? 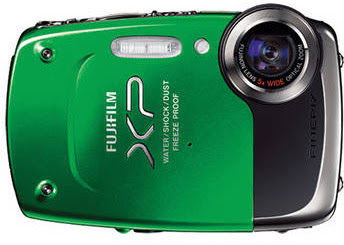 The Fuji XP20 might've fit into the decor on a Seinfeld set 20 years ago, or perhaps an old Jules Verne novel, but nowadays it's just plain bizarre. Comes in a variety of hot colors, all equally repugnant. The awkward design and lens placement are partly warranted by the fact that it's submersible. But just because it goes underwater it needn't be shaped like a bar of soap. 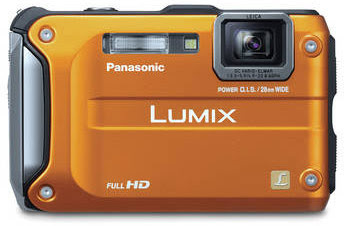 Also in the underwater category there's the Lumix DMC-TS3. This camera is seemingly modeled for the modern Hummer owner looking to accessorize. Batten down the hatches. This baby's ready to be driven down even the most challenging suburban cul-de-sacs. If you can't remember which camera is yours, comes with remote clicker. Whoever designed the Sony NEX-5N must've been looking at too many Pamela Anderson videos. The camera as shown above with 18-55 zoom is one of the most visually disproportionate gadgets I've seen. Maybe it's modeled after sports shooters who plunk a tiny body on the end of their 500 mm telephoto. Works OK for the pros but try squeezing this thing into your pocket. Are you just happy to see me or have you been watching Pamela Anderson videos again? Call me old fashioned but I think the color white should be reserved for instruments that are infrequently touched or else cleaned often. A light bulb or a sink for example. A camera fits neither category. 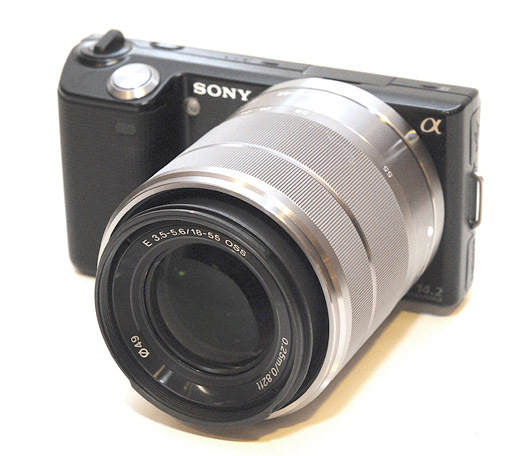 Four or five months of frequent use would make this camera admissible as fingerprint evidence in most courts. I'm a little confused here, Blake. Remind me again: How does the color white that should be reserved for things that are infrequently touched or else cleaned often differ from the color white used for beautifully designed Apple products (e.g. the once white, now brownish keyboard of my crappy and visibly decomposing "Powerbook")? You've got a point Microcord. My white mouse shows lots of wear. My keyboard too. Maybe we can agree on some middle ground. What if we limit technical gadgets to being white after Memorial Day? I think that the majority of the general public likes to photograph themselves for Facebook so the Samsung dual LCD makes perfect sense. The subject is the photographer, and whomever they are posing with, so they will want to make sure they are lined up in the frame. Fuji and Oly have attempted pretty slick "vintage" designs with great success (at least from an estetic point of view). Let's hope other manufacturers will follow. 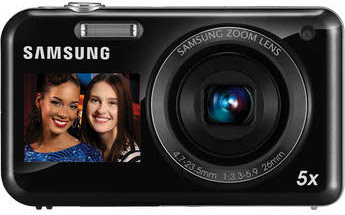 The problem with those "tough" cameras is that they have the lens where an optical viewfinder used to be. That's why they look totally deformed, like a human face with no mouth would look. 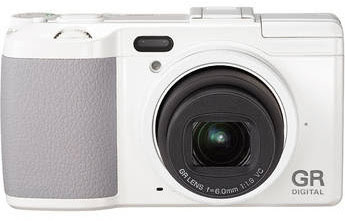 I think the new Fuji camera has weird lines and is blatantly trying to look like a Leica. It is embarrassing as HP laptops that mimic MacBooks, even down to their black keys on silver chassis. Anyone who buys the new Fuji is obviously more interested in looking like a film photographer than shooting photos, since because of Fuji's poor AF system, it isn't very good for the later (assuming they don't radically improve it from the X100). I know it's sick but I love the way my G12 looks! I rather like the Pentax flash. Did you try clicking it into action? Quite fun. In fact I think I'd sit all evening clicking it up and down, studying the fiendish mechanism, till it broke.